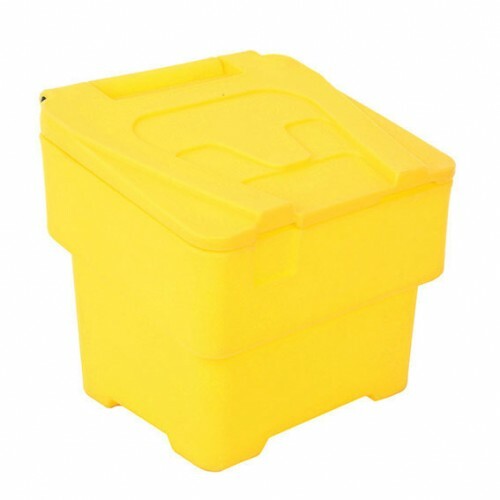 A grit bin is a widely recognised method of ensuring there is de-icing grit available to make the ground safe and slip-free in the event of icy conditions. Often, though, grit bins are large and may not be suitable for smaller business premises or domestic use. This compact 60-litre grit bin is a great way to make sure you have a good supply of grit available without taking up lots of unnecessary space. Fill it with de icing salt and the hinged lid will protect it from becoming ineffective due to the weather. Simply lift the lid when you need to apply grit, use what you need and replace the lid to keep the remaining supply safe.